Stops bleeding from penetrating wounds fast. Excellent proven performance even on strong blood flows. High speed haemostat application system. Penetrating injuries such as blast or knife wounds are very difficult to treat and often lethal. It is vital to stop bleeding quickly. 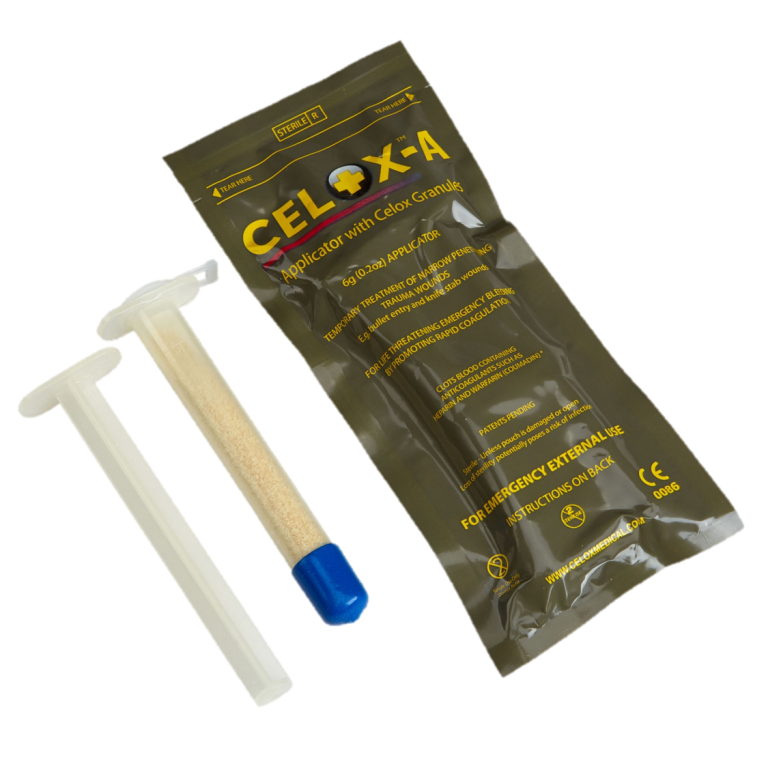 Celox-A™ is a unique haemostat applicator delivery system pre-packed with Celox granules and designed to get through a small entry wound, directly to the bleeding site in just a few seconds. Simple to use, it is the fastest and most effective haemostat applicator available. Celox-A has excellent results in independent testing (see left) outperforming Quikclot Gauze1. Celox-A haemostat applicator uses the proven Celox granules for maximum performance and reassurance of a safe, effective product. 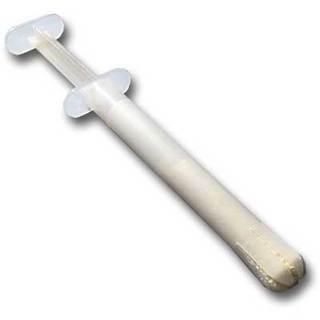 Celox-A is a pre-packed single-use applicator containing 6 g of Celox granules. Celox Gauze has been evaluated and is adopted as standard by several NATO military medical corps and is now approved for use by the US military. Celox has a substantial history of use on the battlefield (with conventional and special forces) where it has repeatedly shown its effectiveness. You never know what you’ll be up against next. Car crashes, assaults on your colleagues, injuries from falls or disputes that end badly. You’re the common thread to these emergencies and it’s your job to save lives. Accidents and injuries can happen anywhere, but in some occupations the specific hazards, or being hours from a hospital can significantly increase the risk. Whether you are on expedition, working in forestry, merchant shipping or oil exploration, you need to be prepared to deal with serious injuries. In remote settings or expeditions, you need to be self-reliant until you can reach good medical care.